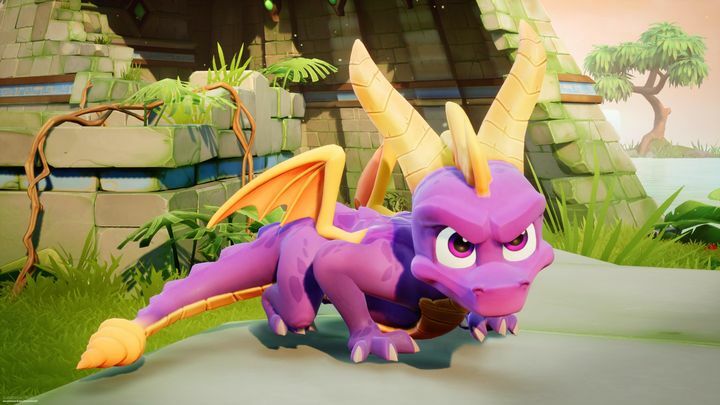 Spyro Reignited Trilogy was released last week to critical acclaim, while Activision’s remaster of three classic platform games from the 90’s also enjoyed strong sales – Spyro Reignited Trilogy landed number one on the UK sales charts for last week. Despite all this, there’s one aspect of the game that’s making fans unhappy. You see, Spyro Reignited Trilogy has subtitles during gameplay (the parts where you are in control of Spyro), but these are conspicuously absent during the animated story cutscenes. Activision, the publisher behind the game, has issued an explanation on gaming blog GamePitt (via geek.com), explaining why there are no subtitles during the cutscenes, making it hard for some to follow the game’s story. “When Toys For Bob set out to make an awesome game collection, there were certain decisions that needed to be made throughout the process. The team remained committed to keep the integrity and legacy of Spyro that fans remembered intact. The game was built from the ground up using a new engine for the team (Unreal 4), and was localized in languages that had not previously been attempted by the studio”, said the US company. “While there’s no industry standard for subtitles, the studio and Activision care about the fans’ experience especially with respect to accessibility for people with different abilities, and will evaluate going forward”, added Activision. There’s one line there, about there being no standard for subtitles in video games that while true, might lead to negative fan reaction. After all, it really isn’t so hard for game makers Toys For Bob to include these in the game’s cutscenes? Also, there’s no promise here that Spyro Reignited Trilogy will have full subtitles anytime soon, so those wanting these in the game might still have to wait a while for this to become a reality. Either way, Spyro Reignited Trilogy still looks like it will end up being one of the top games of the year judging by its first week sales, so hopefully Activision will listen to fans and add full subtitles via a patch at some point in the future. Next: Will the price of PC video cards go down soon?